You probably know TCU for their recent rise to fame in football or their top ranked undergraduate experience but did you know TCU offers over 60 graduate degree programs? 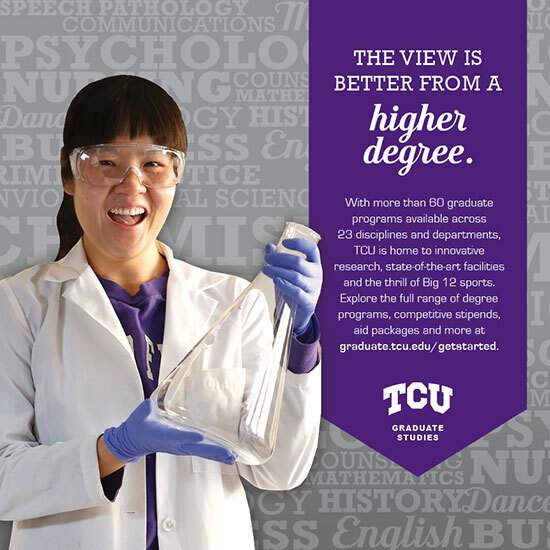 TCU contacted Paper Patina to help with their 2014 graduate studies advertising campaign. How do you advertise 60 degree programs in a digital ad or a billboard? With one of Paper Patina’s signature typographic solutions of course! 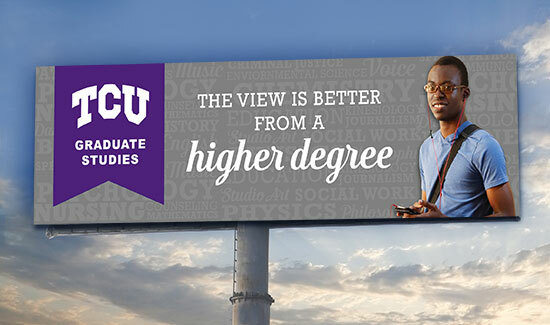 The design concept was used to create print ads, billboards, and digital ads across various publications and websites to attract graduate students to TCU. I may be a bit prejudiced being an alumni and all, but how could you not want to go to TCU!! !